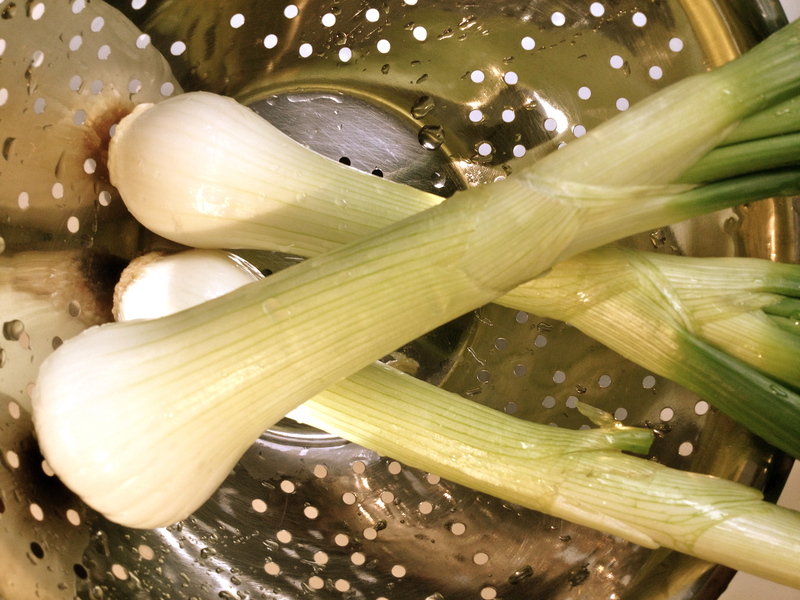 I went to the Union Square Green Market today in search of one thing: spring onions. I was at Esca this past weekend for dinner and had burrata with ramps as an appetizer. Then, when I went into work on Monday, we had spring onions on our new crab dish. Although it has been a cold spring so far, I figured that if both of these restaurants had spring onions on the menu, the green market must have them! 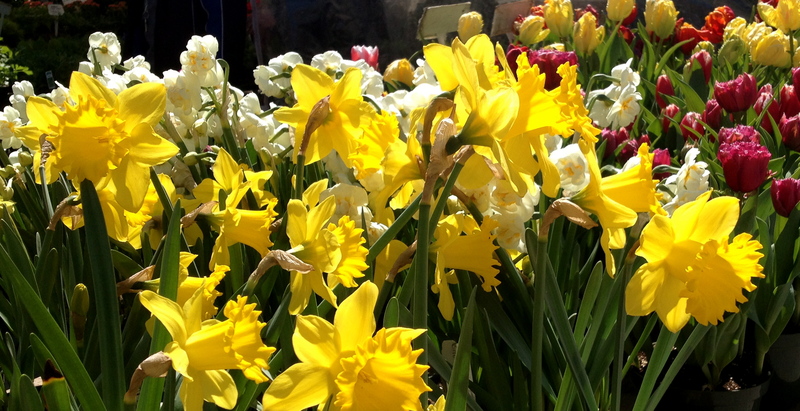 I made the trek downtown (it takes about 35 minutes to get to Union Square) and could not find any spring produce!! 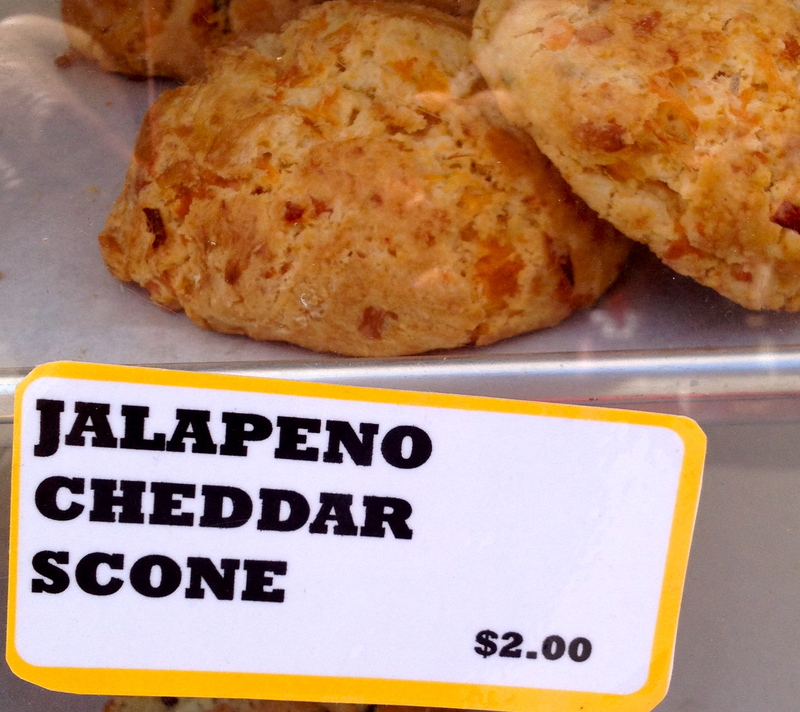 I did find some beautiful flowers, a dwindling supply of winter root veggies, and a yummy jalapeno and cheddar scone from a bakery called Our Daily Bread from Chatham, NY. 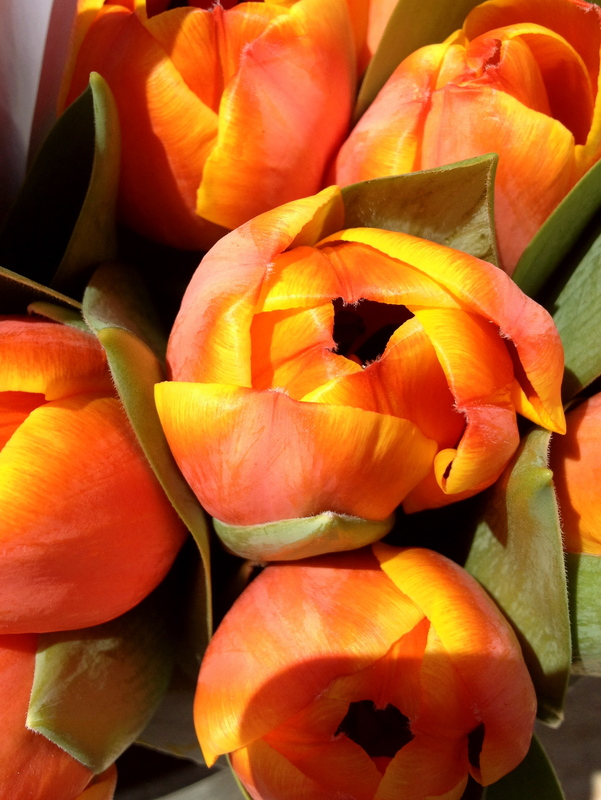 I love going to this green market because, if I strike out, I can walk across 14th St and check out Whole Foods. 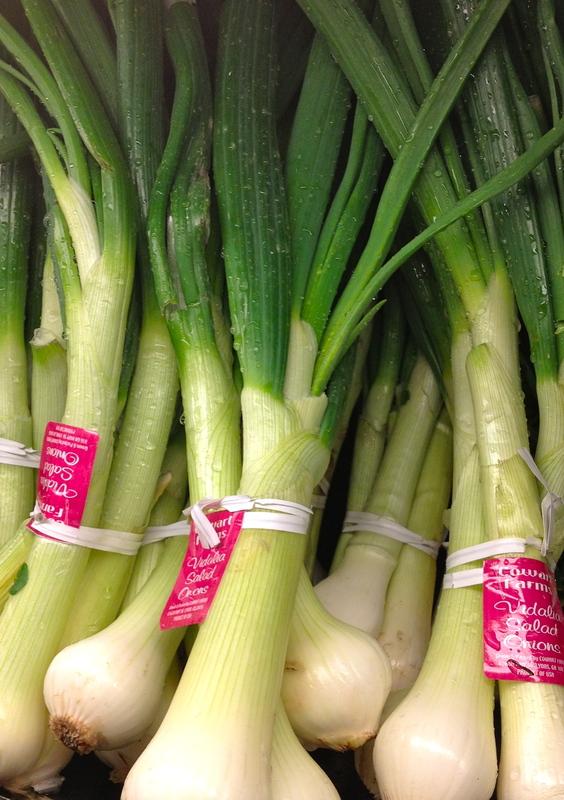 Low and behold, Whole Foods had spring onions! They weren’t local (from GA) and they were a little bigger than I expected but I bought a bunch for $2.49. 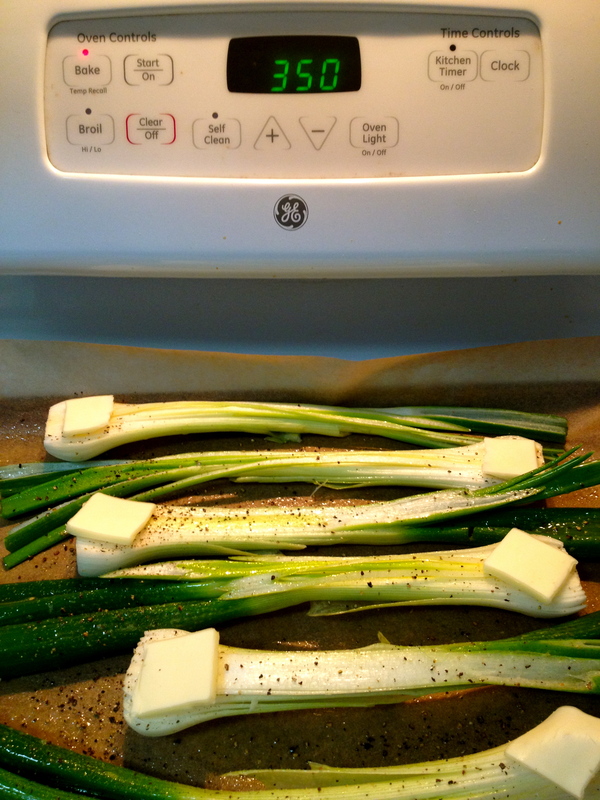 Roasting spring onions is such an easy way to add an easy side dish to a meal. 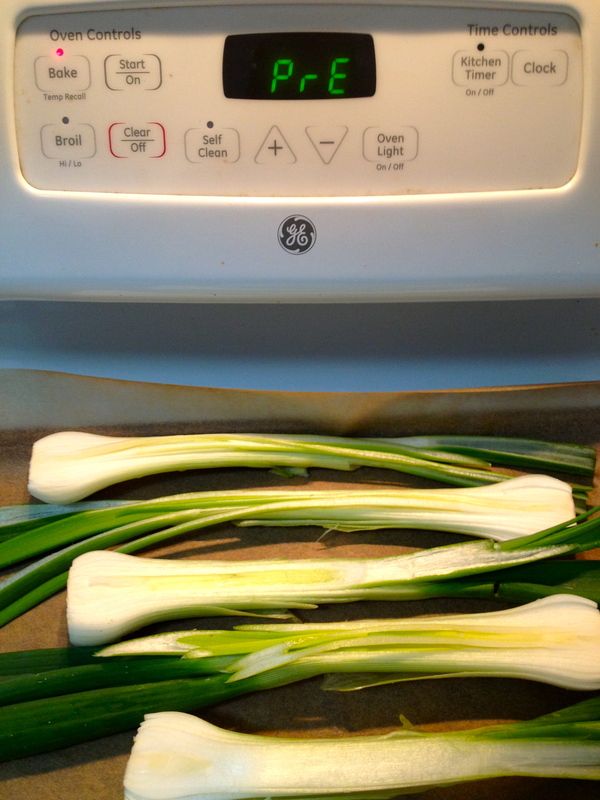 Make sure you wash the onions and cut off a few inches of the green to get rid of any not-so-pretty tops. Preheat the oven to 350 degrees, cut them length-wise and lay out on a roasting pan (I line mine with parchment to make clean up easier). Cover the spring onions with oil (I used my Pam Olive Oil spray to try and control the calories) and then sprinkle with a generous amount of salt and pepper. A great addition to this dish is fresh thyme- if you have some on hand. The last (and most important) step is to put a small slab of butter on top of each bulb- about 1/8 inch sliver cut off of the stick of butter. 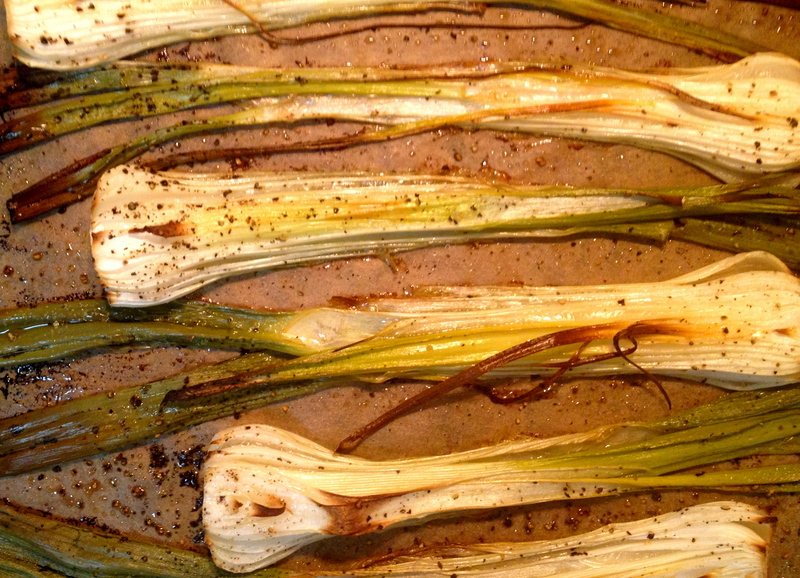 Once the oven is at 350 degrees, put the onions in and roast for about 35 minutes or until tender.